Professor Antonino Zichichi is Emeritus Professor of Advanced Physics at the University of Bologna, has authored over 1100 scientific papers which include: 7 discoveries, 5 inventions, 3 original ideas which opened new avenues in high energy Subnuclear Physics and 5 high-precision measurements of fundamental physics properties. Among the discoveries are the pair production of heavy mesons with positive and negative strangeness (the decisive proof for the existence of the strangeness quantum number in the Subnuclear Universe), the Effective Energy in QCD and the nuclear antimatter; among the inventions are a new technology for constructing high-precision polynomial magnetic fields 100 times cheaper and 100 times faster than other technologies, the electronic circuit for time-of-flight measurements with a precision of fifteen picoseconds (thousandths of nanosecond); among the original ideas is that which brought the discovery of the third column in the fundamental structure of the Universe. 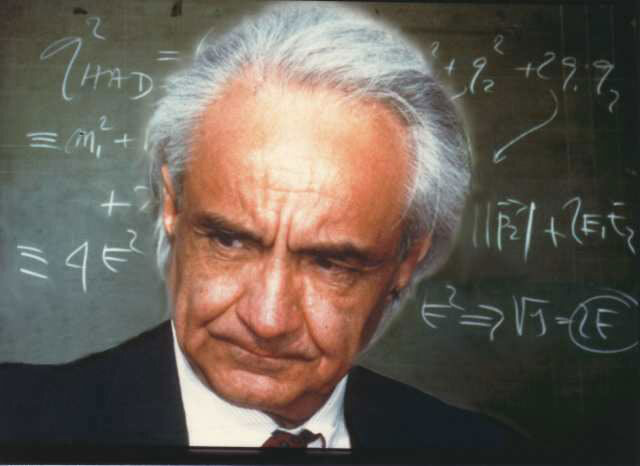 The great projects of European Physics – LEP and LHC at CERN, GRAN SASSO at INFN, HERA at DESY – are all linked to his name for his seminal contributions in their conception consequent study and implementation phases. He has been in charge at the European and National level (EPS and INFN). He founded the “Ettore Majorana Center for Scientific Culture” in Erice and the “Enrico Fermi Centre” in Rome. He is President of the “World Federation of Scientists”. Nine books were written by eminent scientists about his discoveries and inventions. The asteroid discovered in 1986 has been dedicated to him, 3951 Zichichi. He has written 24 books; received 105 Prizes, 24 honorary citizenships, 10 Gold Medals, 9 honorary Ph.D. degrees and is member of 13 scientific Academies. He was awarded honours in 16 Countries: Argentina, China, Georgia, Germany, Italy, Kyrgyzstan, Lithuania, Malta, Moldova, Poland, Romania, Russia, Ukraine, UK, USA and Vatican City.